Download the 2nd Annual Airport Security Summit 2017 conference brochure today! 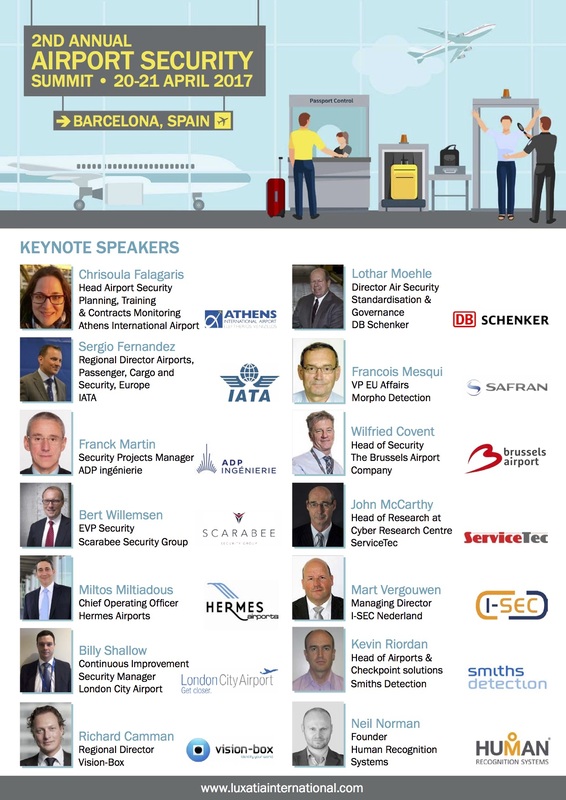 We are pleased to announce the launch of the 2nd Annual Airport Security Summit, which will take place 20-21 April 2017 in Barcelona. The summit will delve into challenges within airport security operations, and it will offer a fresh overview of issues faced in today’s technology-driven security solutions. The summit will offer deeper insights into issues, such as airport security strategy, data security improvements, risk management and threat assessment, security trainings and staff development. The 2nd Annual event will provide an excellent opportunity to learn more about recent projects and advances from inspirational speakers. Besides individual case studies and panel discussions, networking breaks will give a possibility for industry leaders to gather together and discuss about potential risks and improvements in security and how to successfully implement new security strategies and benefit from new technology.